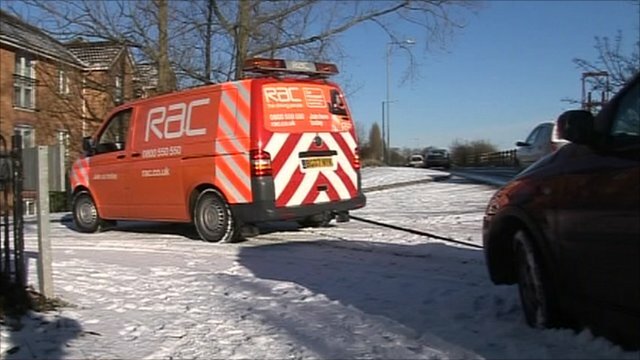 On snow patrol with the RAC Jump to media player Stranded motorists have been relying on breakdown services to get them out of difficulty. Ben Godfrey spent the day with an RAC patrolman in the Midlands. 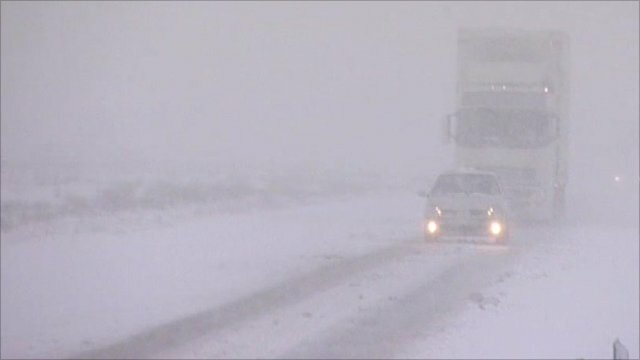 Snow brings parts of Wales to a standstill Jump to media player Many in Wales wake to a white-out as snow falls across much of the country overnight. More snow is forecast in western areas and on Saturday, 10in (25cm) is possible in Wales and southern England. Stranded motorists have been relying on breakdown services to get them out of difficulty. Ben Godfrey spent the day with an RAC patrolman in the Midlands.